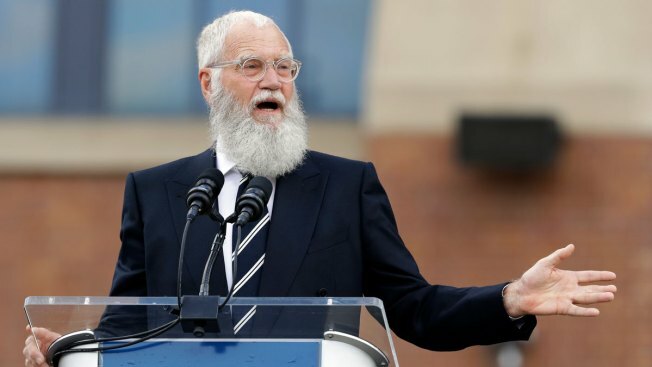 David Letterman is late night comedy's bearded elder statesman. Late night television brims with sharp comic voices, wielding an overall pointier edge since the election of President Trump. But notably missing from the collective comedic snarl is the Midwestern twang of the current crew’s sardonic spiritual godfather: David Letterman. But occasional jibes are no substitute for a monologue delivered four times a week, as Letterman did almost continually for 33 years before exiting the Ed Sullivan Theater in 2015. Letterman recently returned to the big stage, this time in Washington, to be honored with the Mark Twain Prize for American Humor. The Nov. 20 broadcast of the ceremony on PBS bodes to underscore his influence – and his absence. The late night great originally arrived in the morning with his short-lived 1980 NBC daytime show, where he first trotted out bits like “Stupid Pet Tricks” to low ratings. Letterman’s 1982 move to NBC's "Late Night" drew a younger crowd, giving him a laboratory to develop his off-beat humor and make news with interviews gone awry (Madonna, Cher, Crispin Glover). He both loved and mocked TV conventions, aspiring to become the next Johnny Carson, but instead emerging as the first David Letterman. He moved to CBS amid bitterness in 1993 after NBC picked the more middle-of-the-road Jay Leno to replace Carson on "The Tonight Show." Letterman didn't mellow on “The Late Show,” but he changed over the next two decades, his perspective broadened via late-in-life fatherhood, a heart scare and self-inflicted scandal. His greatest moment – his post-9/11 monologue – brilliantly mixed grief, anger, fear and hope. No one could ever brand Letterman a political comedian, but he became a voice for his time, rising to occasions like his replacement, Stephen Colbert, and his biggest acolyte, Jimmy Kimmel. Kimmel, joined by Paul Shaffer, Steve Martin and other stars, led the roast of Letterman at the Kennedy Center, a little more than a mile from the White House. "Everything was fine until you went off the air," Kimmel reportedly told the guest of honor. "You abandoned us. You went out for a pack of cigarettes and left us to live with an abusive orange stepfather." Letterman, the 20th Twain Prize recipient, somehow didn't make the Top 10. Even more surprising is the snub of Carson, who died 12 years ago. Like Carson, Letterman's mark permeates the late night landscape. Unlike Carson, he hasn't disappeared from public life, post-late night TV. Last year, Letterman traveled to India for an installment of the National Geographic Channel’s “Years of Living Dangerously,” and he’s set to host a series of six hour-long, presumably serious, interview-driven specials for Netflix. It’s a good fit for Letterman, who went from an awkward to incisive inquisitor during his late night years and is looking for a way to extend his impact. In the meantime, Kimmel and others who miss him will have to make due with his Twain ceremony stint at a time when it would be great to regularly hear his take on stupid human tricks from all over.